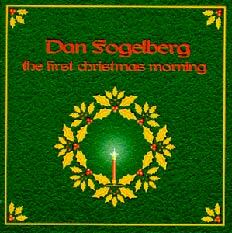 I think I first heard In the Bleak Midwinter on Dan Fogelberg’s 1999 project The First Christmas Morning. If you don’t have this CD, go buy it now. It has a distinct acoustic old-world sound that takes you back to Christmases past. Later, I heard James Taylor’s rendition of the song on the 2004 Hallmark release A Christmas Album. The same cuts, plus or minus a song or two, were released by Columbia in 2006 as James Taylor at Christmas. You should go buy this CD as well. Dan and James both give moving performances of this old carol. I believe the lyrics included here are the original verses. The artists on modern recordings have revised or omitted certain lines or stanzas in order to make the language more current. Either way, they are lovely lyrics set to an equally lovely melody.